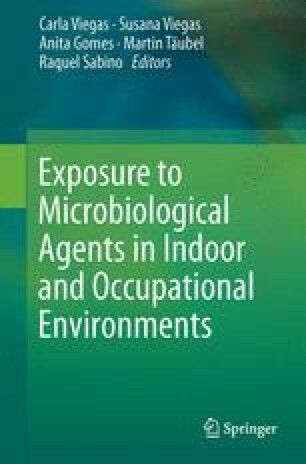 Bacterial bioburden assessments, particularly in the context of human environmental/occupational exposure, have major implications in public health risk assessment. Several sampling methods, which must be adapted to the studied environmental context, are currently available. Culture-dependent and culture-independent methodologies have been utilized for the analysis of bacterial communities in various environments. Culture-dependent techniques drove extraordinary advances in microbiology and allow the enhancement of bacterial material to be utilized in supplementary analysis; however, these approaches may underestimate the bacterial bioburden of the studied samples. On the other hand, culture-independent approaches are considered more sensible and efficient with capacity to provide valuable information regarding bacterial diversity and quantity; nevertheless, preferential amplification and poor primers specificity can account for major limitations. In order to perform valuable and efficient assessments of bacterial bioburden booth approaches should be utilized simultaneously.